Mother Earth is a beautiful woman, there is no doubt about that. 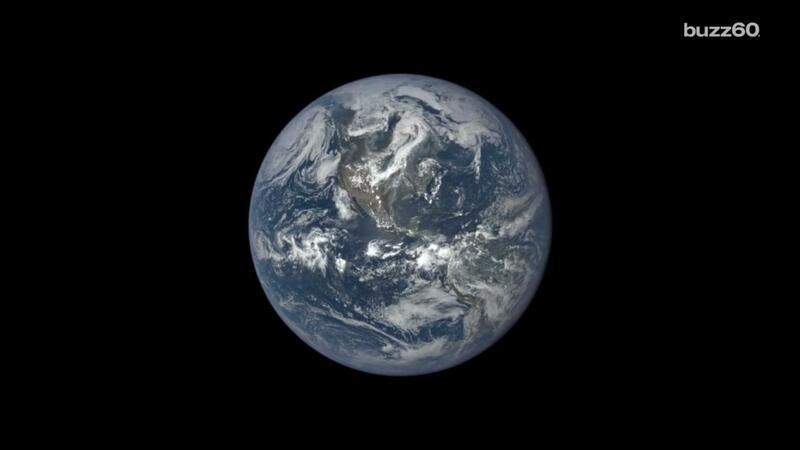 And NASA's Polychromatic Imaging Camera, better known as EPIC, has captured some stunning footage of a full year on earth that highlights her beauty to a tee. EPIC, which was placed approximately one million miles between the sun and Earth, has been acting as Earth's private paparazzi since July 2015. Since then, EPIC has captured more than 3,000 incredible images of the Earth during its 365-day tour around the sun. The result? A beautiful time-lapse sequence which has provided the first images of what an entire year on Earth looks like from space. EPIC had to take a picture every two hours to achieve the fantastic time-lapse, which features a wide variety of natural elements such as continents, deserts, forests, bodies of water, weather systems and a few rare phenomena tossed in for fun. Jay Herman, the EPIC lead scientist, pointed out that on March 8, 2016, the moon passed between Earth and the sun, resulting in a solar eclipse. During this time, the moon cased a shadow on Earth, which is even visible on the time-lapse! It's safe to say the EPIC is, well, pretty epic.